We were in Mexico this time for a wedding, so again it was what I call “birding around the edges” and not a birding trip. But when you are someplace very different than your usual birding habitat, even the birds that are everyday birds to the local folks can be pretty fascinating. A few of these are birds I highlighted in my previous post but I got some nice new pictures of some of them and a few are birds we didn’t see on our first trip. On this trip we stayed in three places in the Yucatan: the city of Merida, a resort in Playa Del Carmen and in the Tulum area. The houses where we stayed in Mexico were inside small walled yards, so whenever we stayed somewhere, I would try to get up on the roof if I could to watch the birds in the early morning while everyone else was still asleep. 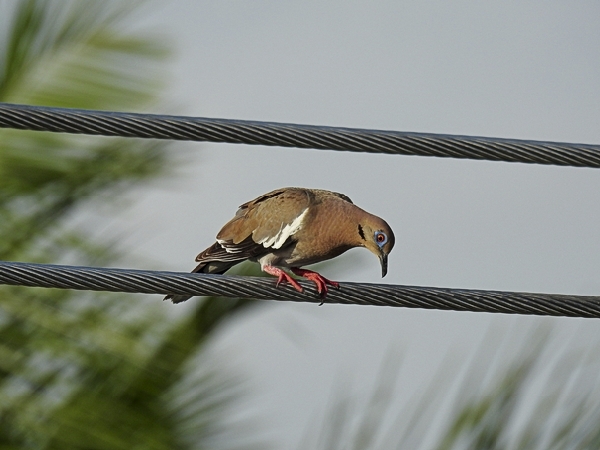 This lovely White-Winged Dove was sitting up on the wires near the house where we stayed in Merida. 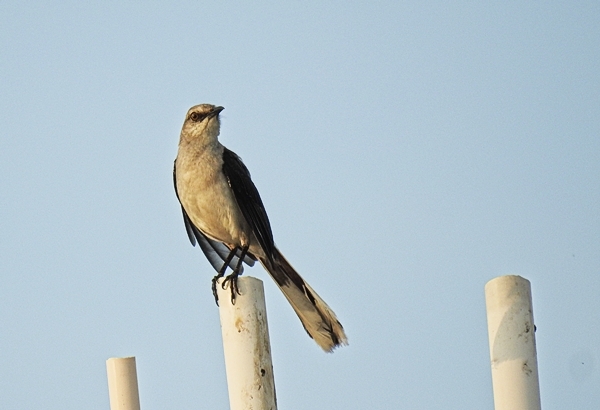 Here is a Tropical Mockingbird sitting on top of PVC water tubes on a neighboring rooftop in Merida. They seem to like to sit up somewhere high early in the morning. The wedding was held at a resort in Playa Del Carmen (about an hour north of Tulum.) One morning I was sitting on the hotel room’s balcony and I caught sight of a bird in the foliage on the other side of the small lawn. 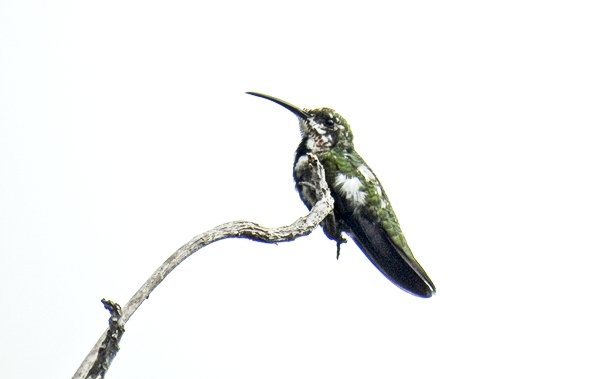 It moved like a hummingbird but was much larger than the Ruby-Throated Hummingbirds I’m used to. This neotropical hummingbird is a Green-Breasted Mango. The female and immature mangos have a dark stripe down the center of their throat and breast and the immatures also have some rusty mottling along the throat and breast edges and there is a bit of that here, so I think this one is an immature. The resort had a lot of water winding between various public buildings where birds could be found. 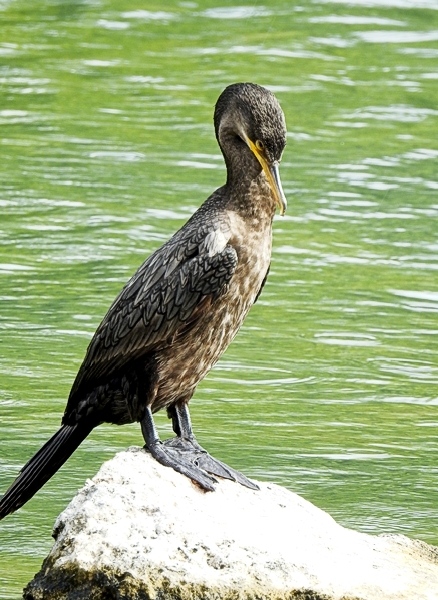 Neotropic Cormorants look a lot like the Double-Creasted Cormorants we see up our way, but they are a bit smaller with a longer tail and some white bordering the orange chin. The brown on this one indicates a juvenile. 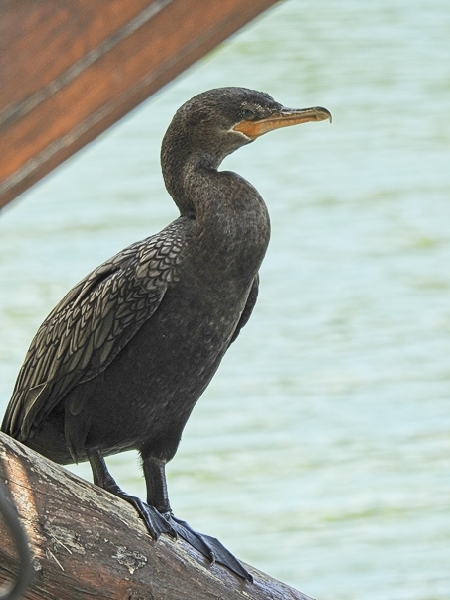 This mature Neotropic Cormorant was hanging out under a stairway and bridge that crossed one of the waterways. We saw the cormorants every morning on our way to breakfast. 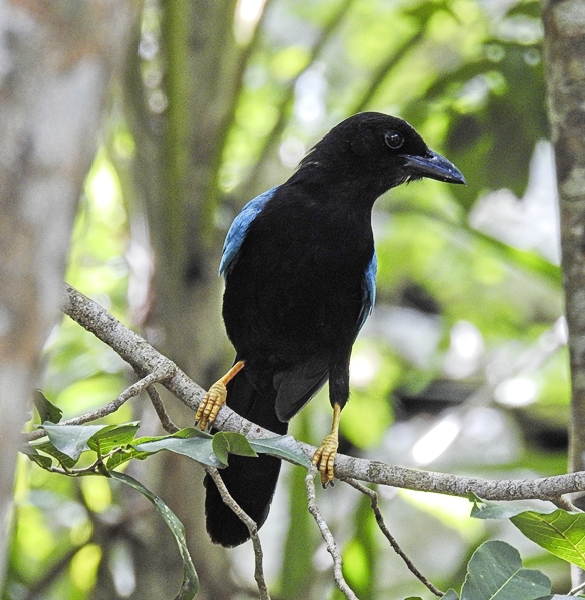 The Yucatan Jay was another new bird for me on this trip. We saw them several places in Tulum, always in trees. This one was part of a group of jays that were busy in the trees in the shaded walk that leads you into the ruins of Tulum. I also saw a couple in the trees behind the house we were staying in near Tulum where they were eating berries. 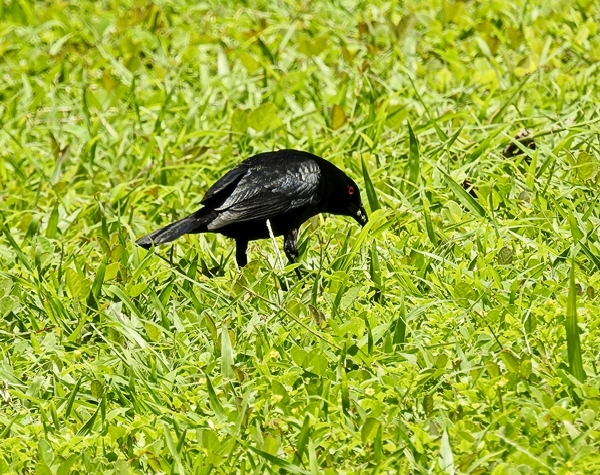 Apparently Bronzed Cowbirds like to puff up their neck feathers. I think it makes him look very top heavy or like he is wearing a Dracula cape. 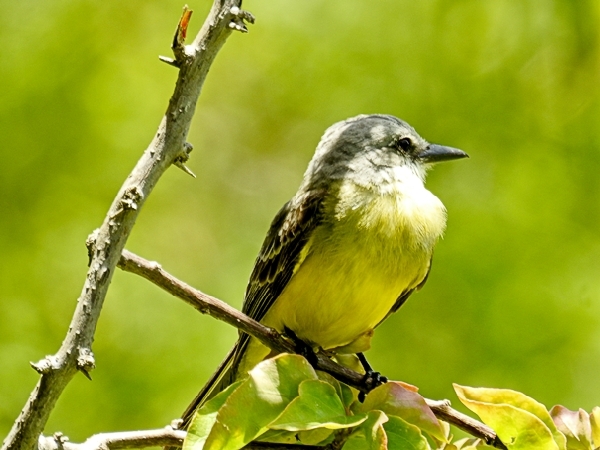 The Tropical Kingbird is another bird that we saw at the Tulum ruins. They like to sit out on a perch in an open area and sally out to hawk insects so they are hard to miss. If you visit the Yucatan, you really need to visit at least one cenote. 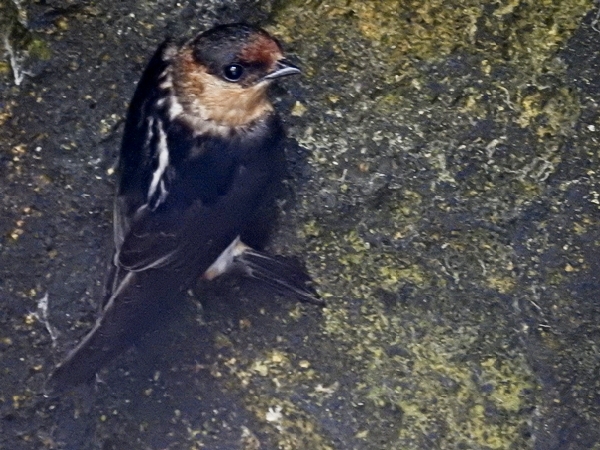 This is one of many Cave Swallows flying around inside the Gran Cenote near Tulum. They had built nests all around the walls with mud. 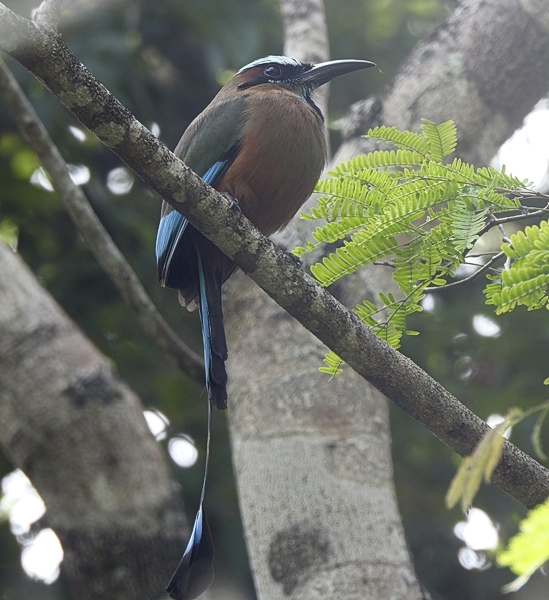 Can you blame me for choosing the Turquoise-Browed Motmots as my favorite birds of this trip? They are gorgeous and look at that tail! 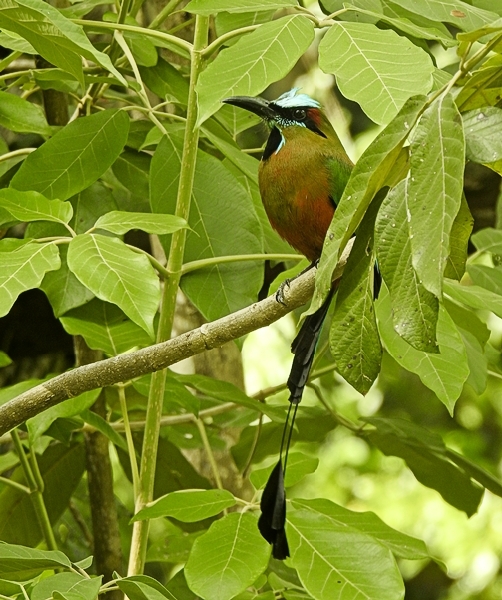 A group of motmots sat in the trees on the outside edges of the Gran Cenote near Tulum looking very regal. 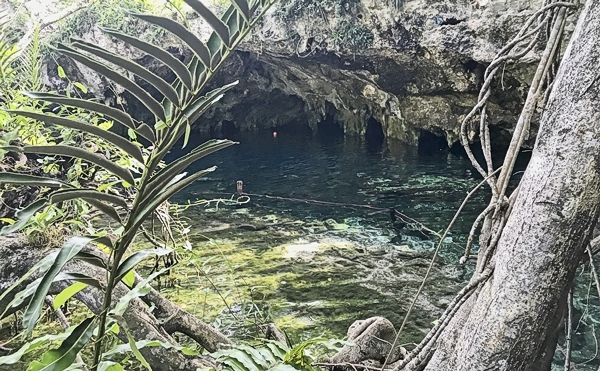 Apparently cenotes are a good spot to find them. 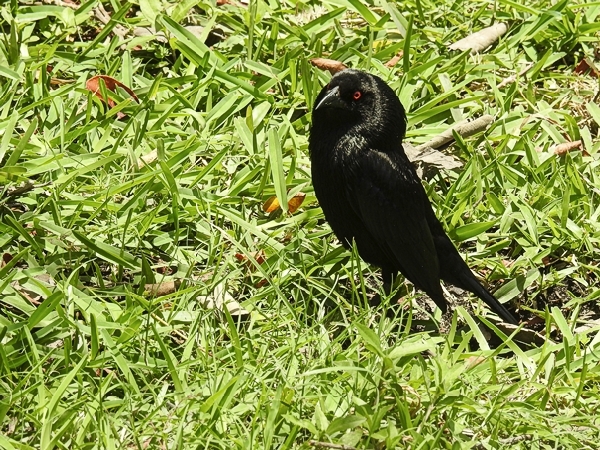 The Yucatan is full of beautiful and fascinating birds. Even if you can’t get to one of the nature reserves to go birding, you can still see something interesting if you pay attention around the edges!